Don’t wait for the holidays or a special occasion to give someone a gift. Here’s a list of “JUST BECAUSE” reasons to drop off an unexpected present. The fastest way to send a surprise is through email. 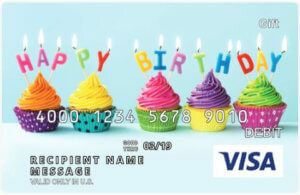 Send an impromptu egift card in seconds! According to a recent survey from Blackhawk Network, the most popular reason to give someone a gift is to celebrate a birthday. Winter holidays rank second with Mother’s Day, Father’s Day and Valentine’s Day after that. Though celebrating these holidays and events are important, some of the most meaningful gifts I have ever received were given to me for no good reason. 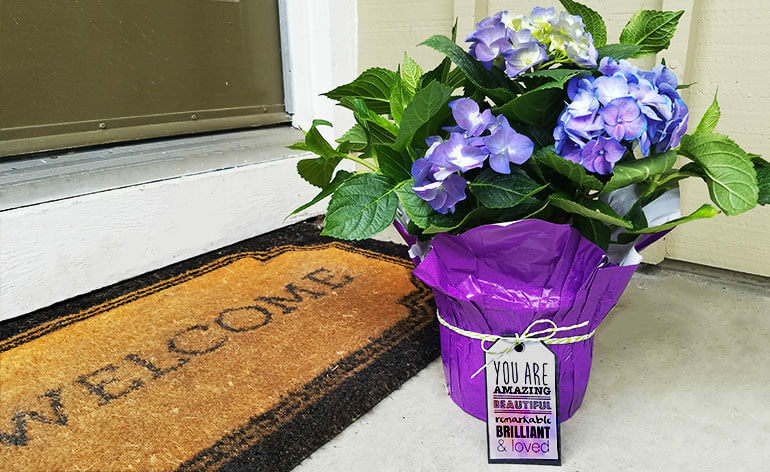 During a particularly challenging time in my life, a group of friends got together and dropped anonymous gifts on my doorstep nearly every night for a month. Though not elaborate or expensive, these gifts of picked flowers, inspirational quotes, chocolates and other small items bolstered my strength and increased the love I feel for these women to this day. Another time, someone taped a card to my front door. I opened it to find a $200 Target gift card inside that I later used to buy Christmas presents for my kids. This week, I came home and found a pot of yellow dahlias on my porch. I have no idea who left the flowers or why, but each time I look at them, I am filled with gratitude for sweet friends and kind gestures. In thinking about the countless acts of kindness done for me over the years and in honor of that little pot of sunshine recently delivered to my door, I want to share a list of “no good” reasons to give someone a gift. I am hoping that this list will inspire you to think of gifting beyond the typical birthdays, holidays and celebrations because I know first-hand how uplifting an unexpected present can be. I am also hoping you will take the time to add your experiences with impromptu gifting in the comments below so that this list will grow. So consider these 10 “no good” reasons to give a gift as just a starting point. When you know that a friend will have a busy week ahead, drop off a meal or think of other time-savers that could make the week a little more bearable. One year, to prepare for the upcoming school year, a friend and I made freezer dinners for each other. We each also made an extra set of meals for a mutual friend. This third mom was grateful for the unexpected dinners and appreciated not having to cook during that first, hectic week of school. If you’re not a cook, drop off school lunch snacks, extra school supplies or a yummy salad that mom can eat all by herself after the kids are off on their first full day. Here’s a free “first day of school” printable you can download and add to your gift. Whether you know a teenager starting her first real job or have a good friend making a career move, that first day of work can be a little frightening. No matter how qualified you are, it is natural to be nervous and want to prove yourself early on. A great way to help someone start a new job with confidence is to give him or her a gift card for new clothes, new shoes or new office supplies. Add a note of encouragement that says, “You got this!” or simply “Congratulations on the new job!” I suggest a Nordstrom, Macy’s or JCPenney gift card for clothes, a DSW gift card for shoes and a Staples gift card for a new briefcase, backpack or binder paper. On the day I dropped my daughter off to her first day of Kindergarten, my little sister moved to Boston to start a new job. Saying goodbye to both of them at the same time brought me to tears. Because of this experience, I make a point to check in with friends who are sending their kids off to college, out on service missions, into the armed forces or into the world for any other reason. If possible, I will see if she has time to go for a walk or go to lunch one on of those first few days alone. If not, I will drop a gift on her doorstep just so she knows that I am thinking about her. Though these gifts do not take the hurt or the sickness away, some are useful (we desperately needed those crackers) and others just help you feel a little less sorry for yourself. Losing a pet can be heartbreaking. If you have a friend who recently lost a furry family member, bring in a meal, send a card or drop off a treat to show your love and concern–and to validate the loss that may be felt. In this article, “Losing a Pet,” the author points out that in addition to feeling sorrow over the loss of a loved one, pet owners may also experience loss of the emotional support provided by the animal. Thus, this would be an especially nice time to offer a listening ear or send a gift of support. Although Dana Gould sells jewelry as a part-time gig, she says that she gets more joy out of simply giving her jewelry away than selling it. When she discovered, for example, that a friend’s dog had passed away, Dana made a bracelet with a dog paw and a heart to give to the pet’s owner. If you want to give someone an instantaneous all-day smile, then send a gift for no good reason. It works. Kathy Gottberg of SMART Living 365 says that some of the happiest times in her life have occurred when she was actively engaged in helping others. I feel the same way. I truly believe that one of the best ways to get out of a personal slump is to do something for someone else. But what can you do if you are already too busy and short on time? Obviously, I love this idea. One of the best things about egift cards is that you can send one almost as quickly as you get the idea to do something nice for someone. 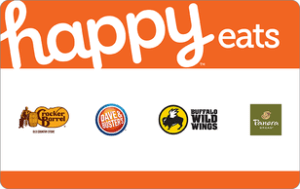 Buy egift cards here or send one directly from our gift card app. A couple of years ago, my son played a piano solo at church. He started the piece off beautifully, then suddenly the piano stopped. The room fell silent for what seemed like an hour, then finally a single note echoed through the chapel. Then another, until eventually he found his way back into the music and finished the performance. My heart ached for him as he slumped back into his chair at the end of the song. Immediately following the service, however, a throng of people surrounded my boy to tell him what a good job he had done and to say that watching him struggle and then recover had been inspiring. (I wanted to vomit, but I am happy they felt something different.) Later that night, a family stopped by to bring him cookies and express appreciation for his willingness to share his talents. Another sweet lady sent a note in the mail. Several others made similar gestures and I know Matthew felt uplifted by the outpouring of support. When someone does a good job or just makes a really great attempt, show that you noticed the effort. Perhaps your words of encouragement will be exactly what that person needs to keep on trying. When I say, “no good reason to give a gift,” I really mean that you should not wait for a holiday or birthday or other special occasion to show someone how you feel. Though you may have no idea why you feel prompted to make a phone call, send a text or drop off a gift, you will not regret taking the initiative. You may, however, regret not doing something if you later discover that your friend had been doing through a difficult time. If you’d rather do something than give something, read this list of 11 Things to DO instead of asking, “What Can I Do to Help?” You’ll find plenty of ways to serve friends and family members who may be experiencing hardship in their lives. If you want to serve on a more regular basis, then check out service opportunities in your area through Just Serve. This is a website people can search to find volunteer opportunities in their respective communities. 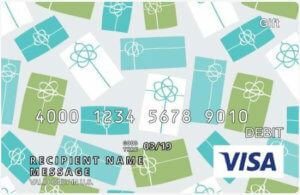 Lastly, another way to make a difference with your gifting is to give a gift card that gives back. 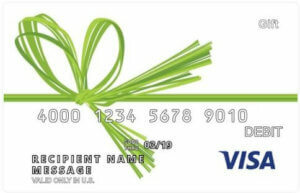 In addition to charitable gift cards listed in my blog post, GiftCards.com supports the St. Baldrick’s Foundation. Here’s a list of ways we (together with Blackhawk Network) are using gift cards to raise money for the fight against childhood cancer. So what else would you suggest? If you are a regular “just because” gifter or you have received a gift for no good reason, please add your experience in the comments below or reach out to me on Twitter (@GCGirlfriend). I’d love to increase the number of suggestions in this list so we can all do a little more good for no good reason.